London based black-oriented label (now defunct). The label was founded in 1974 by Paul Robinson and Steve Rowland. Veteran American recording artist and arranger H.B. Barnum was drafted in to help them find new soul talent and record for them as an artist. 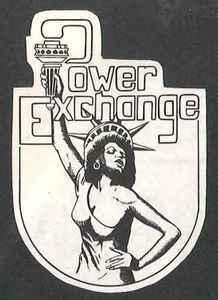 Also credited as "Power Exchange" or "Power Exchange Records And Tapes" (see the images added). The label was financed and distributed by EMI.